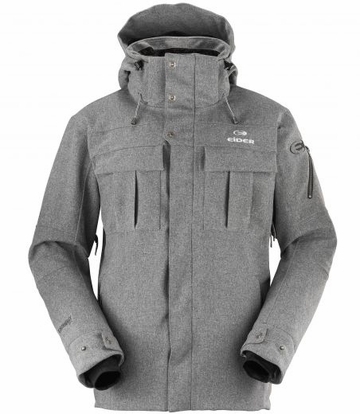 Looking for a jacket that works great on the mountain, but is still suitable to wear out on the town? The Red Square provides that versatility, with a full set of ski features and an urban friendly design. Its Defender Weave fabric has a unique texture, while providing stretch, waterproofness, and breathability, and the Highloft fleece lined collar ensures warmth while absorbing moisture. Sophisticated in design and feature-rich, the Red Square truly rethinks what a ski jacket should look like.